We have written about ten dollar disablers in the main blog a few times. Now I have a new entry. The steering lock pin. 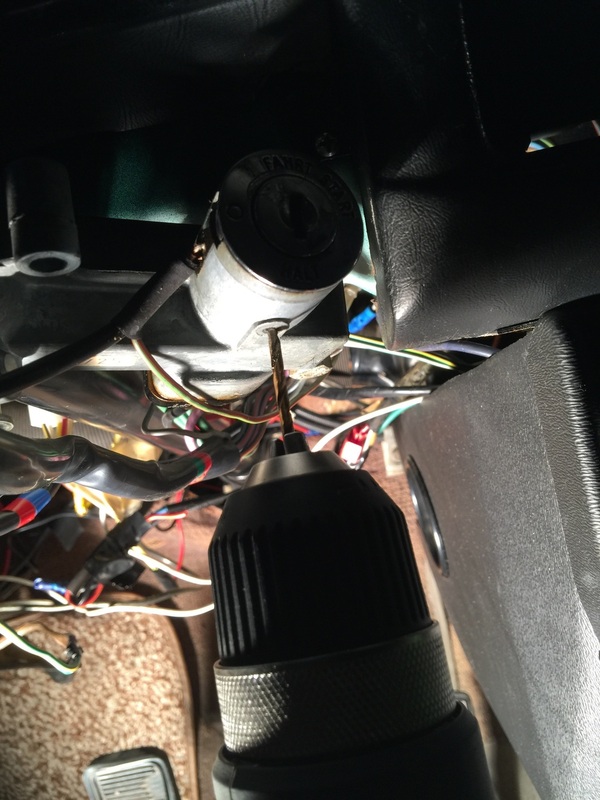 You Tube and the Internet in general provide hundreds of examples across multiple makes and models, of how to get around the failure of a very small pin or tab or spring that if broken or misaligned, will render your vehicle disabled. In some cases you cannot steer the car as the lock engages when it fails. Pretty dangerous ! In other cases, you cannot turn the key to start the vehicle. In yet other instances, you can do neither. And so it was that I got to experience the failure. There is often some clue in that the key becomes progressively more difficult to turn. Not in this case. The key was fine one evening, and the next morning it would not budge. I thought it was the cold, and instinctively tried jiggling it a bit. Nothing. Then I suspected the newer key that I was using. I got the original and tried that. In jiggling that key, I engaged the steering lock. Great. The dismantling of the steering column trim is fairly quick and easy. Lower cardboard panel, lower pad, upper pad, lower metal, and then you can see the small opening that houses the 1mm pin at the bottom of the ignition tumbler cylinder. Drilling out the pin frees the tmbler. They key turned, the lock unlocked, and the car became startable and movable.